The Matriarch Stakes is a Group 2 support race on the Emirates Stakes Day program held on the first Saturday of November at Flemington Racecourse each Melbourne Spring Racing Carnival. The fourth and final meeting of the Melbourne Cup Carnival, Emirates Stakes Day takes place four days after the coveted Melbourne Cup at the same track on the first Tuesday of November every year. Two elite levels headline the program with the Group 1 Emirates Stakes (2000m), a race formerly known as the Mackinnon Stakes and held a week earlier prior to 2016, and the Group 1 Darley Classic (1200m) for the spring sprinters. The race is the only Group 2 race on the card and offers $300,000 in total prize money. It is a set weights plus penalties event open to mares only and has produced a number of subsequent Group 1 winners in recent years including Lucia Valentina (2015) who won the Group 1 $4 million Queen Elizabeth Stakes (2000m) in Sydney the following April. The latest edition of the Matriach Stakes runs on Saturday November 10, 2018. The full Matriarch Stakes 2018 Results & Finishing Order will be provided below once the race is run and won on Saturday November 10, 2018. While not as popular as the Group 1 odds on offer on Emirates Stakes Day, Matriarch Stakes betting still attracts plenty of interest each Cup Carnival and opens the Wednesday before the race when the field of mares is released by Racing Victoria. Mares that have previous Group 1 spring racing experience often dominate the Matriarch Stakes odds, especially those out of tougher lead-up races like the Group 1 Myer Classic (1600m) the Saturday before on Derby Day. Previous Flemington race experience and proven form over 2000m also has mares kept safe in Matriarch Stakes betting by the bookies each season. The season’s top Matriarch Stakes 2018 betting odds and Flemington market links to the Emirates Stakes Day support act will be available below the week of the race so stay tuned for the top prices on the spring mares. 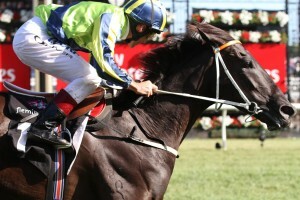 Matriach Stakes tips to take to the bookmakers during the Melbourne Cup Carnival include backing mares with previous winning form over the distance (2000m) and at the Flemington track, looking at runners coming off a top three effort in similar class and the any recent Group 1 performers dropping back in class. The set weights plus penalties conditions of the race ensure that the classier mares usually reign supreme so favourites make for a good Matriarch Stakes betting tip. Our Ladbrokes’ insider Matriarch Stakes 2018 tips and Flemington racing selections will be detailed below the week of the race so stay tuned for the mares to back and sack in the Matriarch Stakes betting markets this spring. The Matriarch Stakes field attracts a line-up of classy mares every spring, the majority of which are using it as a final chance to secure a Group win for the season before turning out for a spell. Matriarch Stakes runners come via a number of different lead-up runs. In 2015 Lucia Valentina came off a run in the Group 1 Caulfield Cup (2400m) and won the following autumn’s Group 1 Queen Elizabeth Stakes (2000m) in Sydney. Matriarch Stakes winner Lucia Valentina (2015) went on to win a Group 1 in Sydney the following autumn. Photo Credit: Ultimate Racing Photos. Another more traditional lead-up into the Matriarch Stakes field for mares is the Group 3 Tesio Stakes (1600m) at Moonee Valley on Cox Plate Day. The last mare to complete the Tesio Stakes – Matriarch Stakes double was Suavito (2014) who also went on to win the Group 1 Futurity Stakes (1400m) the following autumn. In 2017 the Matriarch Stakes winner Savapinski improved on a lead-up second in the Tesio Stakes. Mares that are not heading to the paddock may back-up in the Group 3 Eclipse Stakes (1800m) a week later at Sandown, a race the 2015 Matriarch Stakes third placegetter Casino Dancer won on the quick back-up. In 2013 the Matriarch Stakes runner-up Queenstown ran third in the Group 2 Sandown Classic (2400m) a week later when the race ran at Caulfield. Matriarch Stakes nominations close the Monday before Emirates Stakes Day runs on the Saturday and the final field and barriers are out on the Wednesday. The official Matriarch Stakes 2018 Final Field & Barriers are announced on the Wednesday leading-up to Emirates Stakes Day and will be published in full below once released so stay tuned to see what mares make the line-up in the lucrative Group 2 showdown. The Matriarch Stakes form guide provides punters with all the crucial information and statistics from the jockeys, trainers and barriers to the track / distance records of all the mares in the field. In recent years the Matriarch Stakes form has gone on to hold-up in tougher races the following autumn with plenty of winners taking out a Group 1 race in Melbourne early the next year. A link to the comprehensive Matriarch Stakes 2018 Form Guide will be provided below the week of the race so stay tuned for all the facts / stats you need to place a winning wager on the Matriarch Stakes field this spring. The Matriach Stakes results have been a mix between single and double-figure winners over the past decade, but the majority came off a top three run in Melbourne leading up to the Group 2.
Notable recent Matriarch Stakes winners include Lucia Valentina (2015), Suavito (2014) and Purple (2009).